Office of Evaluation and Inspections, Spit Tobacco and Youth. Washington, DC US Dept of Health and Human Services1992;DHHS publication (OEI-06) 92-00500. US Department of Health and Human Services, The Health Consequences of Using Smokeless Tobacco: A Report of the Advisory Committee to the Surgeon General. Washington, DC US Dept of Health and Human Services1986;DHHS publication (NIH) 86-2874. Federal Trade Commission, 1997 Smokeless tobacco report. Available at: http://www.ftc.gov/bcp/reports/smokeless97.htm. Accessed July 20, 2002. This article discusses the evolution of smokeless tobacco in the United States and interprets the available data on cardiovascular risk factors and cardiovascular mortality associated with its use. There has been a resurgence of smokeless tobacco use since 1970. Smokeless tobacco consistently produces levels of nicotine higher than those seen with smoking and causes similar sympathetic neural stimulation and acute cardiovascular effects. However, there is conflicting evidence from prospective and case-control studies about cardiovascular mortality or myocardial infarction caused by smokeless tobacco use. Smokeless tobacco use is also associated with oral cancers and high-risk behavior in adolescents. Although the evidence is not conclusive, the adverse cardiovascular effects of smokeless tobacco use are less than those caused by smoking but are more than those found in nonusers. It is advisable to counsel all current users of smokeless tobacco to quit. Behavioral counseling, sustained-release bupropion hydrochloride therapy, and nicotine replacement therapy may be safe therapeutic modalities for treatment of smokeless tobacco use. Little is known about smokeless tobacco and cardiovascular risks. We present a case report and review the literature on this subject. A 57-year-old man presented with a history of diabetes, hypertension, hyperlipidemia, and myocardial infarction. His medications included an aspirin, a β-blocker, an angiotensin-converting enzyme inhibitor, and a statin. He had quit smoking 3 years earlier, after a 50 pack-year history, but continued to chew as many as 2 cans of tobacco each day (30 g of tobacco per can). His oral mucosa showed tobacco stains but no hairy leukoplakia or masses suggestive of cancer. The findings of heart, lung, and peripheral arterial examinations were normal. Laboratory tests revealed normal levels of electrolytes and normal renal and liver functions as well as the following values: hemoglobin A1c, 7.1%; low-density lipoprotein cholesterol, 89 mg/dL (2.30 mmol/L); total triglycerides, 186 mg/dL (2.10 mmol/L); and high-density lipoprotein cholesterol, 42 mg/dL (1.09 mmol/L). The patient asked for advice regarding his smokeless tobacco consumption in relation to his cardiovascular risks. He was concerned that if he were to quit chewing tobacco, he might take up smoking again. Smokeless tobacco has made a resurgence in the United States and other developed nations since the 1970s. Because of vigorous efforts toward increasing awareness of the adverse effects of tobacco, smoking has declined consistently over the last 30 years; paradoxically, the use of "snuff" and smokeless tobacco has greatly increased. In 1986, the surgeon general's first report on the health consequences of smokeless tobacco was published and a National Institute of Health consensus conference on the health applications of smokeless tobacco was held. Congress also enacted the Comprehensive Smokeless Tobacco Health Education Act that same year. This law requires manufacturers, packagers, and importers to place 3 warnings on a periodic rotational basis on all advertising and labeling for smokeless tobacco products. Even with these measures in effect, dollar sales have increased almost 2-fold, with more money being spent on advertising.7 The smokeless tobacco producers have systematically tried to increase the smokeless tobacco use with innovative measures such as developing new delivery devices (eg, convenient small tea bag pouches), varying nicotine levels, and introducing different flavors, including mint, which was marketed toward young children. Herein, we examine the available scientific literature in which the cardiovascular effects of smokeless tobacco are evaluated and highlight the lack of sound clinical research available in this area of wide public health importance. Cigarette smoking is well known to increase the risk for cardiovascular disease. It accelerates atherosclerosis, increases myocardial workload, reduces the oxygen-carrying capacity of the blood, causes coronary vasoconstriction, increases catecholamine release, and induces a hypercoagulable state, leading to an increased risk for myocardial infarction. Accelerated atherosclerosis due to cigarette smoking is mediated by an adverse effect on lipid profiles, endothelial dysfunction, oxidant injury, neutrophil activation, increased thrombosis, and increased fibrinogen levels. How smokeless tobacco use influences some of these parameters has been the subject of various studies. We reviewed studies in the Medline database from 1966 to 2002 using the key words smokeless tobacco, spit tobacco, and cardiovascular disease. Bibliographies of relevant articles were searched to identify studies that might have been missed in the review. Processed tobacco has been shown to have more than 2000 chemical compounds that include potential carcinogens: hydrocarbons, aldehydes, nitrosamines, and alkaloids. Nicotine is the major addicting substance in tobacco and is thought to be responsible for most of the adverse effects associated with its use. Benowitz et al10 demonstrated that the maximal levels of nicotine were similar after a single exposure to smokeless tobacco or smoking. Unlike smoking, which produces rapid peaks and troughs, smokeless tobacco use causes more prolonged, sustained levels of nicotine, often lasting for 60 minutes.10 The rate of absorption may vary among different forms of smokeless tobacco depending on the pH level of the product, amount of nicotine, and size of the tobacco cutting. However, all the different brands of smokeless tobacco tested in Benowitz and colleagues' study produced higher venous concentrations than those observed with cigarette smoking. Acute cardiovascular effects, similar to those caused by cigarette smoking, are seen with the use of smokeless tobacco. They include an increase in heart rate and blood pressure levels, with maximum cardiovascular effects preceding maximum blood nicotine levels.11 Although the blood nicotine levels remain high, an acute tolerant effect to nicotine is seen after 15 minutes, with a decrease in the heart rate. Most trials have shown that, compared with smokeless tobacco use, smoking is associated with a higher incidence of cardiovascular risk factors and cardiovascular mortality. Tobacco combustion products, carbon monoxide, and related compounds may be responsible for this accretive hazard of adverse cardiovascular events. Blood pressure levels are affected by the high sodium content of smokeless tobacco, as well as by 2 of its pharmacologically active ingredients: nicotine and licorice. The sodium content differs among brands, and an increase in 24-hour urine sodium excretion by as much as 26 to 41 mEq/L has been demonstrated after the ingestion of several different types of smokeless tobacco.12 Licorice inhibits the metabolism of mineralocorticoids and indirectly causes sodium retention, thereby increasing blood pressure levels. The acute effects of smokeless tobacco have been documented by increases of up to 21 mm Hg in systolic blood pressure and 14 mm Hg in diastolic blood pressure and by an average increase of 19 beats per minute in heart rate.13 These effects are likely related to activation of the sympathetic nervous system. Tobacco contains N-nitrosamines and other alkaloids, which form highly reactive electrophiles and increase oxidative stress. Smokeless tobacco extract has been shown to be more toxic in vitro than pure nicotine and to increase oxidative stress as a result of reactive oxygen free radicals.24 Smokers also tend to have lower levels of antioxidant vitamins than nonsmokers. Smokeless tobacco users also tend to have lower α- and β-carotene levels. On the other hand, they have plasma levels of ascorbate, tocopherols, and carotenoids similar to those seen in nonusers.25 Overall, increased oxidative stress may promote lipid peroxidation and increase deposition in the atherosclerotic plaques in smokeless tobacco users. In a study of 135 036 male Swedish construction workers aged 35 to 54 years, the relative risk of dying of cardiovascular causes was 1.4 times higher (95% CI, 1.2-1.6) in smokeless tobacco users than in nonusers.28 These results were adjusted for body mass index, age, diabetes, blood pressure, and a history of heart symptoms. However, some of the well-known risk factors, including hypercholesterolemia, were not included. A single-encounter questionnaire administered to these individuals between 1971 and 1974 was used to categorize subjects into smokers, ex-smokers, smokeless tobacco users, and nonusers. No follow-up results of the subjects' tobacco habits were available for any crossover after this questionnaire. The mortality data from the Swedish National Cause of Death Register were studied in 1984. Therefore, it is possible that some of the smokeless tobacco users may have shifted to smoking and hence falsely increased their relative risk in this study. The issue of whether these results can be extrapolated to the general population is also controversial. It has been argued that the nonusers in this study represented "healthier" construction workers, whose incidence of death as a result of cardiovascular causes was lower than that of the general population. Two other case-control studies have evaluated the relative risk of myocardial infarction in smokeless tobacco users. These studies were performed within the framework of the MONICA project in Northern Sweden. In the first study, men aged 35 to 64 years who had a first myocardial infarction between 1989 and 1991 were compared with men in the same age group who did not have a myocardial infarction.29 There was no increased risk of myocardial infarction in the smokeless tobacco users compared with nonusers. The age-adjusted OR was 0.89 (95% CI, 0.62-1.29) for snuff users compared with nonusers and 1.87 (95% CI, 1.4-2.48) for cigarette smokers. However, the control subjects in this study were not matched for age and other characteristics. The second study enrolled men aged 25 to 64 years in Northern Sweden with their first myocardial infarction between 1991 and 1993.30 They were compared with control subjects who were matched for age and place of living. The adjusted OR of myocardial infarction in smokeless tobacco users compared with nonusers was 0.58 (95% CI, 0.35-0.94). In smokers, the adjusted OR was 3.53 (95% CI, 2.48-5.03). Among smokeless tobacco users, there was a trend toward an increased risk of fatal myocardial infarction, which may imply that there is an arrythmogenic potential for smokeless tobacco that causes an increased incidence of sudden death. The difference in the results of these studies can be explained by differences in the study design and study populations. The end points compared are different: myocardial infarction for the case-control studies and mortality resulting from all cardiovascular diseases in the prospective trial. These studies were also performed at different periods, with changes in the composition and type of smokeless tobacco products not accounted for. Different types of smokeless tobacco products are known to produce different nicotine levels.10 Also, it is not possible to generalize the results given the subgroups in which the studies were conducted. Smokeless tobacco has also been advocated as a substitute for cigarette smoking. Tilashalski et al35 demonstrated a 25% smoking cessation rate at 1 year in inveterate smokers who had an average of 3.6 prior unsuccessful attempts to quit. Although this statistic is encouraging, it does send a false message that smokeless tobacco use is an acceptable alternative to smoking. On the contrary, the use of smokeless tobacco is fraught with health risk and needs to be discouraged. Nicotine replacement therapy includes nicotine polacrilex gum, transdermal patches, nicotine nasal spray, and nicotine inhalers. Nicotine replacement therapy has been validated as a safe therapy for smoking cessation. 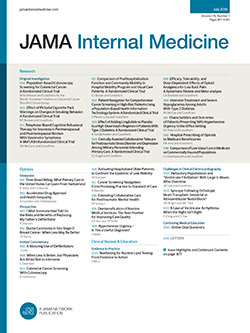 In the Lung Health Study, nicotine replacement therapy did not increase the risk of cardiovascular events in patients with chronic obstructive pulmonary disease.36 Improved perfusion imaging was noted in patients with severe coronary disease who reduced the number of cigarettes smoked when using transdermal nicotine.37 Other controlled trials have also supported the safety of nicotine replacement therapy, which produced no increase in cardiovascular events even in patients with coronary artery disease.38-40 Thus, it seems that tobacco is more harmful than pure nicotine, which may be the result of the presence of other substances, including nitrosamines, polycyclic aldehydes, and alkaloids. A study by Hatsukami et al41 indicated that nicotine patches may help smokeless tobacco users quit for a short period; long-term abstinence in the treatment subgroups was not different from that in the control group. Ebbert et al42 recently did a systematic review of trials involving treatments of smokeless tobacco use. They concluded that behavioral interventions ranging from telephone counseling to self-help manuals are effective in increasing smokeless tobacco cessation rates in the short term. Also, sustained-release bupropion and other nicotine replacement therapies, including nicotine gum, may be effective.42-44 Further studies are needed to find more effective long-term treatments that are better tailored to smokeless tobacco users. Studies on the effect of smokeless tobacco on lipid profiles, chronic blood pressure elevations, increased fibrinogen levels, and insulin resistance suggest that there is an association between an adverse cardiovascular risk profile and smokeless tobacco use. Although there is no unequivocal evidence, most studies indicate that cardiovascular risk is lower among smokeless tobacco users than among smokers but higher than among nonusers of tobacco. Of note, there are few data on the effects of smokeless tobacco use in females. Given this and other health risks associated with smokeless tobacco use, all current users should be counseled to quit using smokeless tobacco. Nicotine replacement therapy may be a safe alternative for patients with nicotine addiction. We recommended that our patient give up his smokeless tobacco use. His risk is likely to be lower with smokeless tobacco use than with smoking, but can be further reduced with the use of safer nicotine replacement therapy. Correspondence: John R. Bartholomew, MD, Department of Cardiovascular Medicine, Section of Vascular Medicine, The Cleveland Clinic Foundation, 9500 Euclid Ave, S-60, Cleveland, OH 44195 (barthoj@ccf.org).